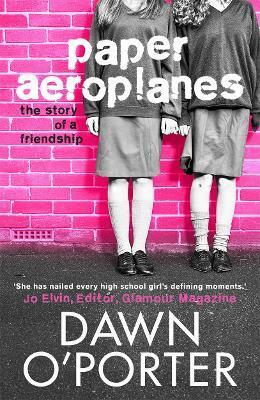 It's the mid-1990s, and fifteen year-old Guernsey schoolgirls, Renee and Flo, are not really meant to be friends. Thoughtful, introspective and studious Flo couldn't be more different to ambitious, extroverted and sexually curious Renee. But Renee and Flo are united by loneliness and their dysfunctional families, and an intense bond is formed. Although there are obstacles to their friendship (namely Flo's jealous ex-best friend and Renee's growing infatuation with Flo's brother), fifteen is an age where anything can happen, where life stretches out before you, and when every betrayal feels like the end of the world. For Renee and Flo it is the time of their lives. With graphic content and some scenes of a sexual nature, Paper Aeroplanes is a gritty, poignant, often laugh-out-loud funny and powerful novel. It is an unforgettable snapshot of small-town adolescence and the heart-stopping power of female friendship.